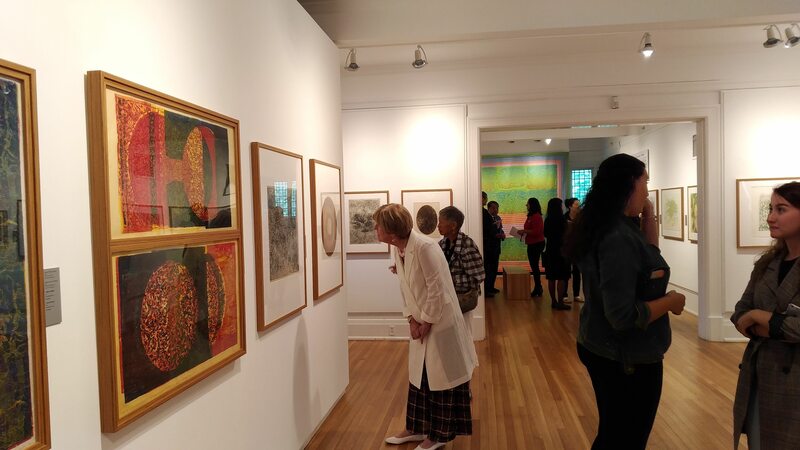 The Burnaby Art Gallery’s exhibition of Anna Wong: A Traveller on Two Roads is a refreshing approach to the Asian Canadian narrative. 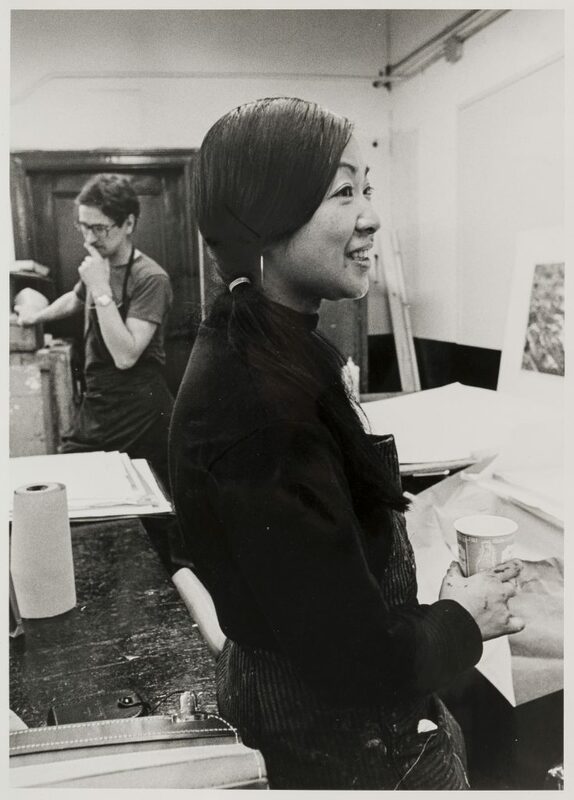 As the first major retrospective of Canadian artist and master printmaker, Anna Wong (1930-2013), it is long overdue recognition for the Vancouver Chinatown native who, despite a dedicated art practice and an international career spanning seven decades, was little known beyond her intimate circle of family, friends and colleagues. However, the most striking revelation of the impressive collection of over seventy original works by the artist is the introspective and personable nature of a woman who was deeply in love with the creative process and life in general. 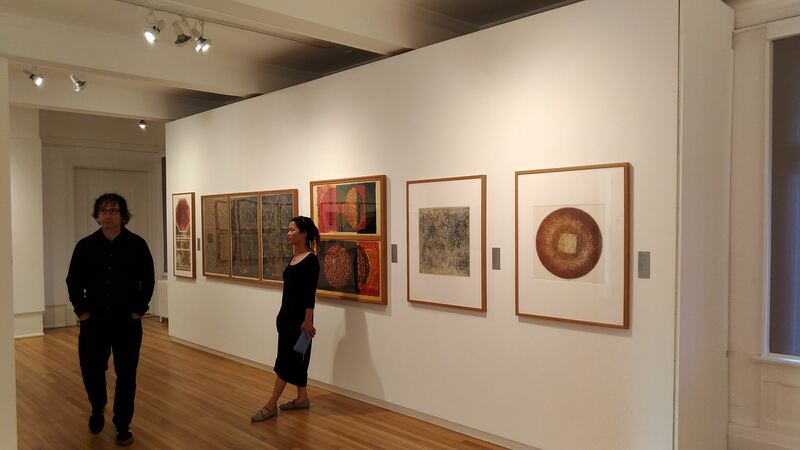 The range of works, which includes paintings, hand-pulled prints and large-scale textile pieces, reflects Wong’s prolific output and evolution as an artist. In her youth, Wong worked at her family’s tailoring business in Chinatown, Vancouver. After studying Chinese brush painting in Hong Kong and graduating from the Vancouver School of Art, Wong studied and taught at the Pratt Graphics Center in New York City for close to two decades before she returned permanently to the Canadian West Coast. “As with many artists who leave [the country] – even though Wong came back often – they don’t get the recognition they should,” explained co-curators Ellen van Eijnsbergen and Jennifer Cane. 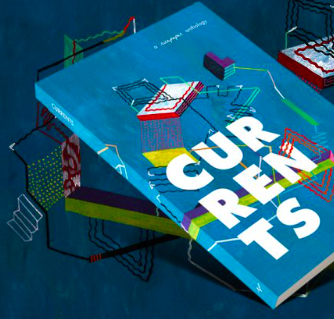 This exhibition is the result of a concerted effort by the Burnaby Art Gallery to re-evaluate the representation of Canadian artists in its permanent collection, especially of women and those of traditionally marginalized backgrounds. Remarkably, while many artists of colour and particularly women assumed anti-institutional stances or engaged in identity politics in response to feelings of exclusion or systemic discrimination in Canadian society during her time, Wong chose a more independent path. 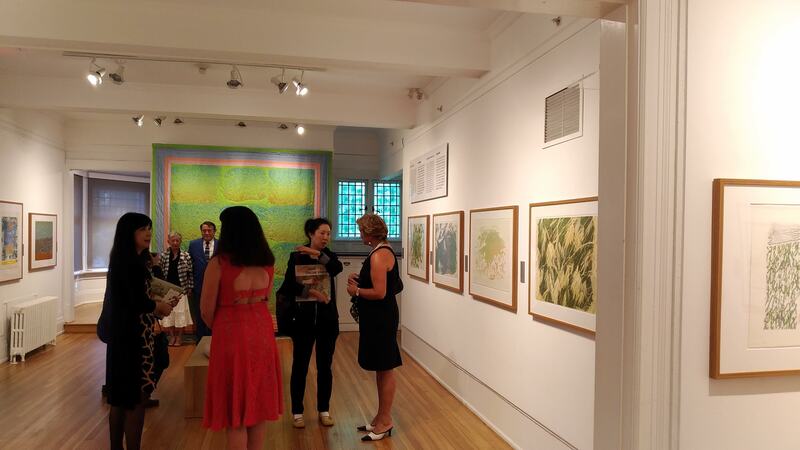 “What made Wong unique was her artistic explorations of abstraction and careful study of Chinese culture from a Chinese-Canadian perspective,” said van Eijnsbergen and Cane. 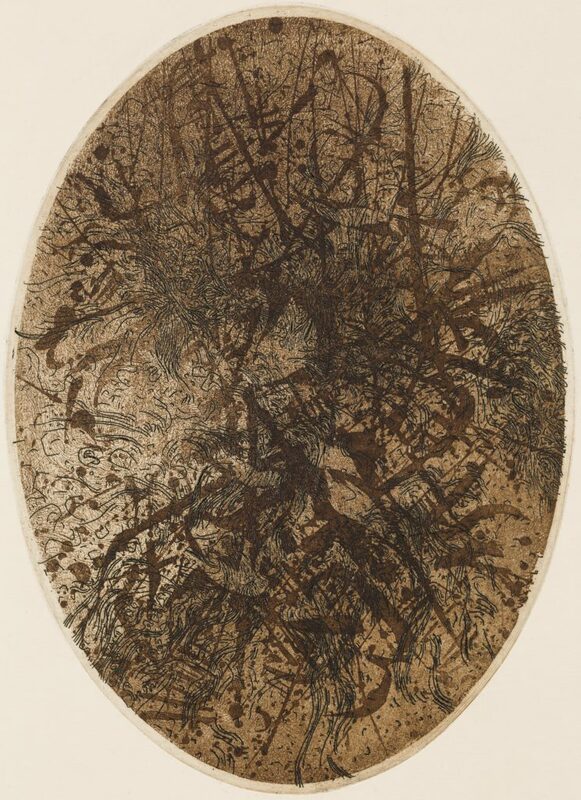 Wong’s skilful combination of traditional Chinese calligraphy and modern abstraction is demonstrated in such stunning pieces as Morphallaxis XXIX (1965), which received an honourable mention at the prestigious Burnaby Art Society National Print Show (1961-1977). As one of the earliest pieces to be acquired for the Burnaby Art Gallery’s collection, Morphallaxis XXIX is featured proudly along with a diverse selection of works gathered with the assistance of family and friends of the artist for the exhibition. “Whether Wong was creating work in the city or in her isolated West Coast studio, she was always working with images in stark contrast from her present surroundings: establishing an ‘elsewhere’ through tableaus of fern and maple leaves while living in Manhattan, or through scenes of the Great Wall and Mount Gongga while making art in Vancouver. 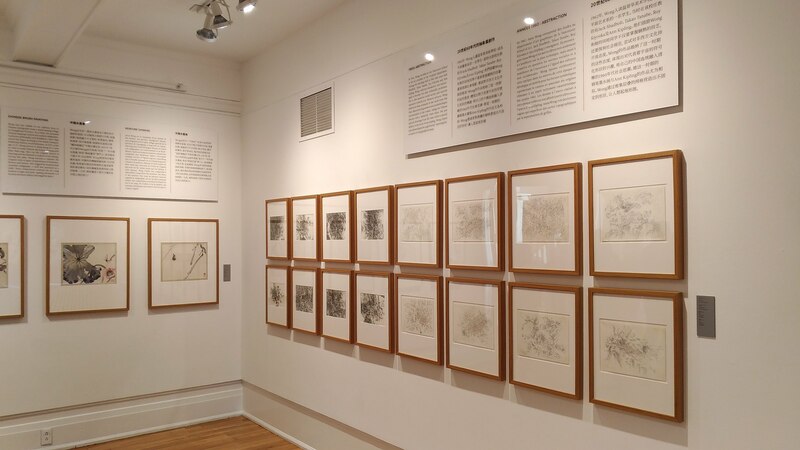 These works represent two parallel journeys of the self, and in this exhibition, we have attempted to accompany her on these travels,” said van Eijnsbergen and Cane. In 1978, Wong joined a tour organized by the Vancouver Chinese Cultural Centre to visit post-Cultural Revolution China. It would be the first of numerous trips, including a visit to the family’s ancestral village in Taishan (Toishan), as well as to more iconic sites, such as the Great Wall, the Imperial Ming Tombs and the Buddhist cave temples of Tung Huang (Dunhuang). Seeing China through the eyes of the Canadian-born Wong presents the viewer with an interesting combination of curious nostalgia and breathless adventure. One might surmise that Wong’s incredible expression was compensation for her otherwise limited ability to vocalize her thoughts. At the age of 20, Anna was diagnosed with thyroid cancer. While the cancer was treated and went into remission, the medical procedures left her with damaged vocal cords and made speaking difficult. Despite this, Wong diligently applied herself to her chosen profession, which often exposed her to irritating toxic chemicals. 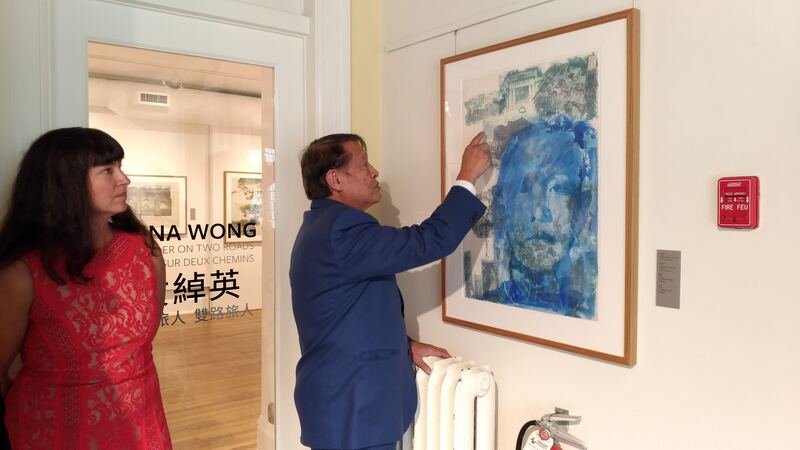 “My signed hand-pulled prints will speak for itself [sic],” Wong is quoted as saying on a family PowerPoint shared by her brother, Maurice Wong. However, Wong’s thirst for knowledge and generosity of spirit is likely to be attributed to her parents who were instrumental in the academic and cultural education of their ten children. The family of Modernize Tailors, which was a fixture in Chinatown Vancouver dating back to 1913, went on to make significant contributions in various fields, including business, social services, architecture, health, education and culture in Canada and beyond. The importance of family is featured significantly throughout Wong’s work, from her incorporation of textiles to the utilization of family photos and keepsakes in especially her later work. When Wong was twenty-one years old, she became the matriarch of the family while her parents took a year-and-a-half journey around the world. While taking care of her younger siblings, she developed her interest in teaching art to young children. “She taught me to be comfortable with who you are and [that] anything is possible; she encouraged us all to live a meaningful positive life, be your own boss…be focused and think towards your goals at whatever chosen path(s) you choose,” said nephew Peter Wong. 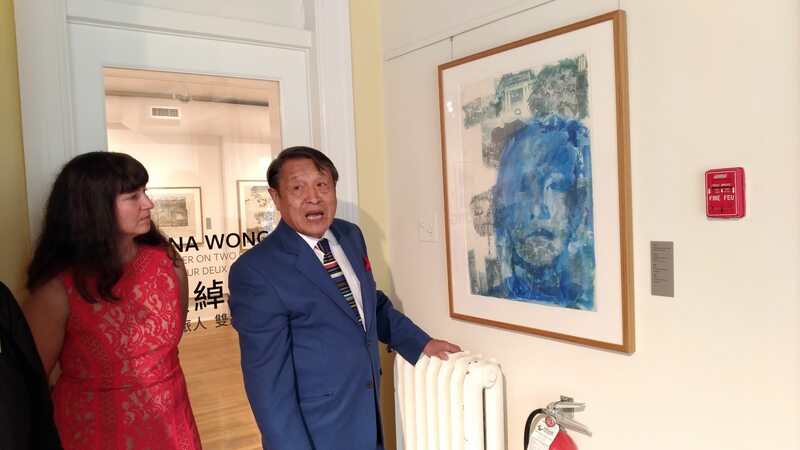 Many young relatives of the Wong family benefited either directly or indirectly from the strong integrity and creative spirit of their “cool artist Aunt Anna”. 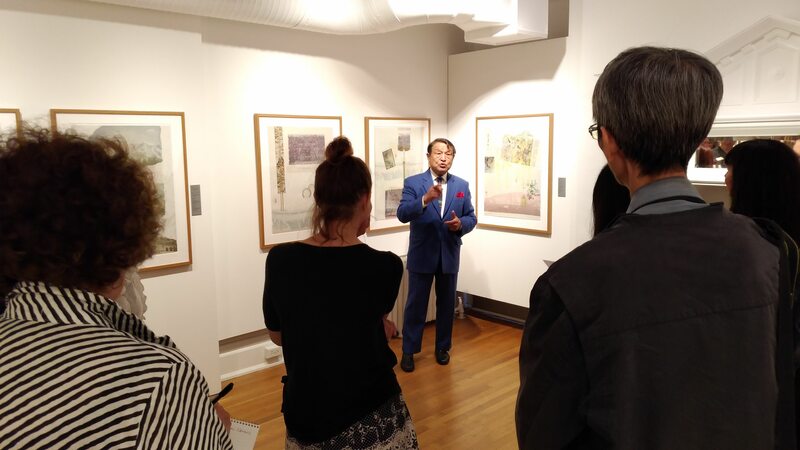 The opening of Wong’s exhibition on Thursday, August 30 was therefore well attended by members and friends of the extended family from all over the world. The stories and shared affection for Anna Wong made the occasion feel much like a celebration of life, as many were aware that Wong never sought or required external validation in her definition of success. 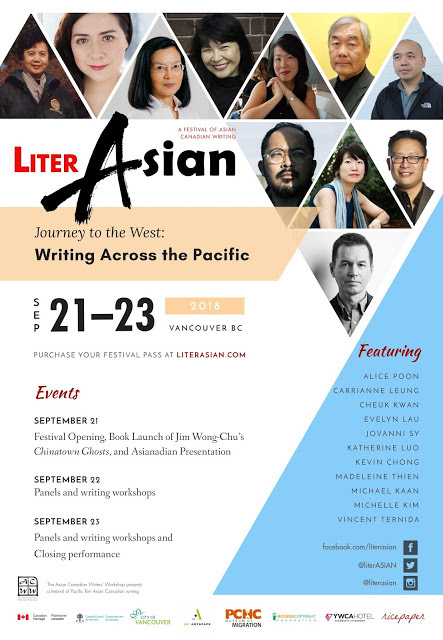 With a message that speaks not only to generations of Chinese Canadians but to anyone with an inquisitive mind, it is a life and work worth celebrating indeed. Bessie Chow is a freelance writer and amateur philosopher. She is passionate about diversity and inclusion, arts and culture and challenging assumptions. She is currently working on a personal project exploring the history of Chinese Canadians. Beautiful work which i just heard about! Hoping it is coming to Vancouver Island.